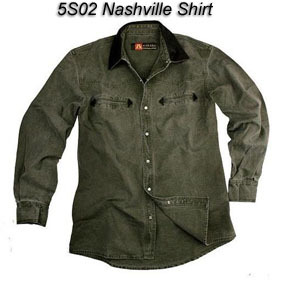 This shirt is so tough we had to add softeners to the wash so that it would bend at the elbows. 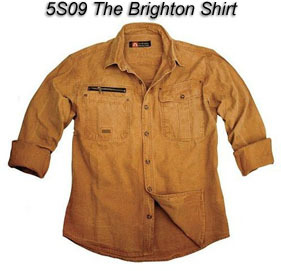 Just joking, good looking shirt though. 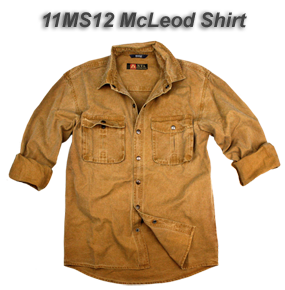 10oz washed gravel canvas, roll-up sleeve tabs, left hand sleeve pocket, and like all our shirts, we top stitched our seams. Large front patch pockets with the right hand double stacked, great to hold the sunnies in, the button down pocket flaps are riveted and placket front, double back yoke with side pleats for extra ease. 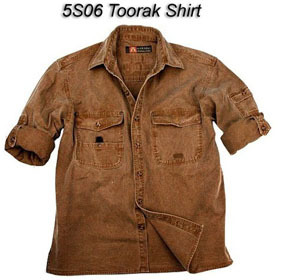 It’s what you wear while you are listening to country and western music out in the back blocks or, just having a few beers with the boys out on the back porch. 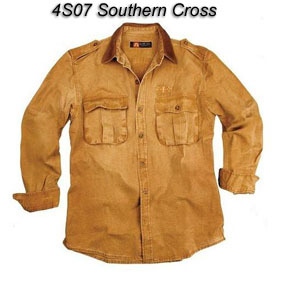 Cowhide collar and trim, pearl snaps, western yokes, and two welted chest pockets. All this in our 10oz Gunn worn cotton canvas which we then stone washed to within an inch of its life so you will look the part. If you have ever been to Portland OR, or Portland Australia, you will know the true value of this shirt. Rains for 9 months of the year, and drips off the trees for the other 3. Great people though. This is a thick wool blend, been treated so that you won't itch. But just in case you are an especially sensitive person like myself, we have lined the collar rink, back yokes, cuffs and under flaps in a fine cotton. We had it woven just a little looser than normal so it would hug better and keeps you warm, and you can wear this shirt out or tucked in. 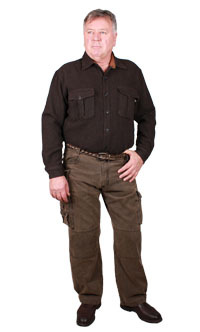 Double patch pockets with box pleats, covered by button down flaps. 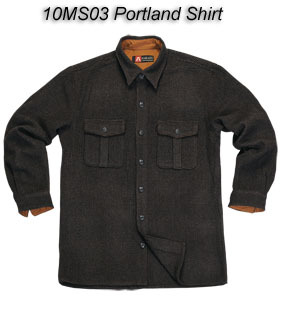 Hate buttons, like to rip your shirt off every now and again, then this bad boy was built for you, we have used snaps on everything so you are ready to go for it. Stone washed 10oz Gunn worn canvas, twin stitched everywhere, bellow patch pockets with inverted box pleats, and as I already said, snap down flaps. We added sleeve pleats and back yoke pleats, when you're not wearing it just hang it up using the back doodad. 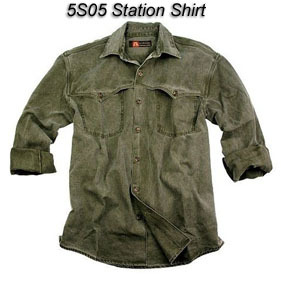 The Station is a rugged over shirt made from heavy Gravel canvas with front and back floating yokes, two front patch pockets, button closure & back hang tab.